Next month is Veteran's Day and a great chance for you to note their sacrifices and protection of our great country. 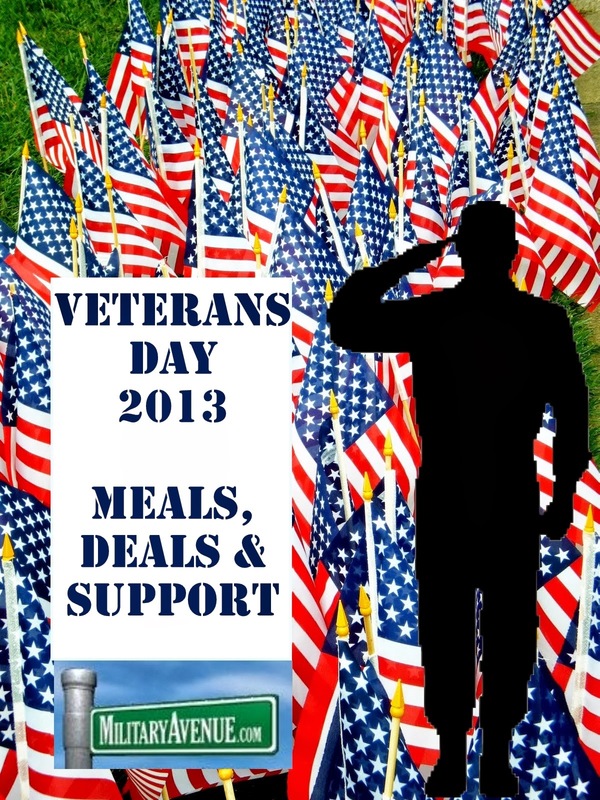 As a MilitaryAvenue Partner what are you doing to recognize our Military and Families this upcoming Veterans Day? Start preparing now for this day of recognition for those who have frequently given so much for their country. 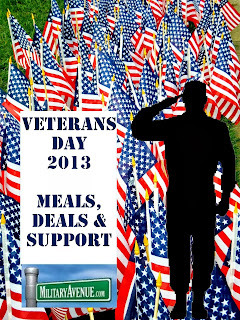 If you are offering a remarkable military discount or incentive for our Veterans we will add it to our growing list - Veterans Day 2013 - Military Meals, Deals & Support. This post is very timely, just when I need it. Good thing I've come across this site while surfing. I just thought to share this website I've visited prior to your blog, I find it very helpful, especially for people like us. Here's the link http://goo.gl/aQkSrF, check it out. But if serious, I absolutely agree with the numerous reviews on SigmaEssays.com. There should be much more to it than a free doughnut. Veteran's day is about memory and education. Along with honoring our brave ones we should remember the foolishness that lead to the terrible events of war. This is the day of us sitting and listening and them talking. And enjoying a tasty meal of course.